The first three Canadian Saks Fifth Avenue OFF 5TH stores will open next spring in three Ontario locations: Niagara-on-the-Lake, Vaughan and Ottawa. The stores will be the first of up to 25 that will eventually launch in major markets across the country as part of the Hudson’s Bay Company brand portfolio. Saks Fifth Avenue OFF 5TH has 81 American stores in 29 states and also sells its clothing, shoes, bags, jewelry and accessories online at saksoff5th.com. A similar product line, including more than 800 designer brands, will be offered to Canadians at stores and saksoff5th.ca. 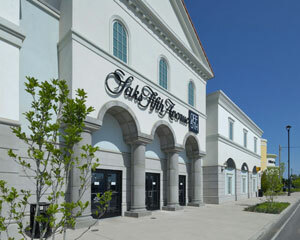 Outlet Collection at Niagara, located by the Queen Elizabeth Way in Niagara-on-the-Lake, will house a 32,500-square-foot Saks Fifth Avenue OFF 5TH. An outlet that opened last year in a mall across the Niagara River in Niagara Falls, N.Y., has proven so popular that executives are confident about moving forward with the new Canadian location despite the two stores’ relatively close proximity. The 35,000-square foot Saks Fifth Avenue OFF 5TH store at Vaughan Mills in Vaughan will cater to the Greater Toronto Area. Outlet Collection at Niagara and Vaughan Mills are both owned and managed by Ivanhoé Cambridge. “Ivanhoé Cambridge has been at the leading edge of the outlet shopping experience in Canada, and as such we are proud to now welcome two of the first Saks Fifth Avenue OFF 5TH locations in Canada,” Sean Walters, senior vice-president of national and mills leasing, said in an email. The 28,000-square-foot Saks Fifth Avenue OFF 5TH Ottawa location will be at Tanger Outlets in Kanata, the first outlet mall in the area. Tanger Outlets is co-owned by Tanger Outlet Factory Centers, Inc. and RioCan Real Estate Investment Trust (REI.UN-T). The Saks Fifth Avenue full-price brand can be found in 39 American locations, on five international licensed stores and online at saks.com. Its first two Canadian stores will open in Toronto — as part of The Bay location at the corner of Queen and Yonge streets downtown, and farther out from the core in the Sherway Gardens mall — next year.